Alexander Rose Classic Chaise Lounge: The Alexander Rose Chaise Lounge would make a wonderful and elegant addition to your garden, patio or indoor living space. The Classic Chaise Lounger comes in this attractive basket style weave with curved edges and a distinctive wide rim for a traditional finish. 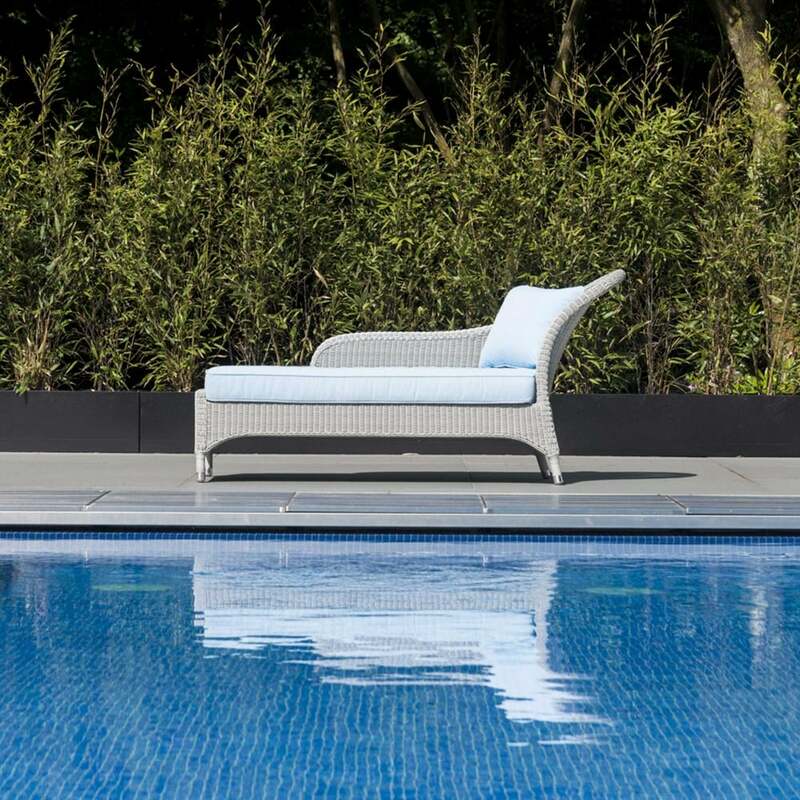 The Alexander Rose Lounger is made with premium 3mm white viro wicker, woven onto a powder coated aluminium frame for a rust free design. The Classic Chaise Lounge also includes a well-padded base cushion and shaped pillows in a cool blue colour for extra comfort and support when relaxing.